Anyone who knows me also knows that in the past few years I got inescapably hooked on the British scifi series Doctor Who, though I’ve actually watched only the reboot version, which started in 2005 and is now in the 6th season. It is actually the longest (though not continuously) running scifi show ever, having started on 23 November 1963 (at 5:16:20pm, GMT, to be precise — time matters for a show based on time travel). For those unfortunate souls who know nothing about it, the Doctor (as he is known on the show) is (almost, as it turns out) the last of an ancient race known as the Time Lords, and he jumps back and forth throughout space-time by means of a device called the TARDIS (which stands for Time And Relative Dimension In Space. It’s bigger on the inside! And it looks like an old fashioned police box, as a disguise). He has all sorts of fantastic adventures, often involving one or two human companions who come along for the ride. And running, lots of running. Naturally, I am currently reviewing a collection of essays of philosophy for the public called Doctor Who and Philosophy: Bigger on the Inside, published by Open Court and edited by Courtland Lewis and Paula Smithka. But this isn’t the review of the book (which will eventually appear in Philosophy Now). Instead, I’m going to focus on one of the chapters, by Michael Hand, entitled “Regeneration and resurrection,” where the author takes on the logical possibility of resurrection in an afterlife, using it as a springboard to talk about the thorny metaphysical issue of personal identity (there are several other chapters in the book devoted to personal identity, by Patrick Stokes, Greg Littmann, Richard Hanley, and David Kyle Johnson, but I won’t comment on those). It is by examining the concept behind regeneration that Hand begins his investigation of the logic of resurrection (of which Time Lord regeneration seems to be a subtype) and more broadly the metaphysics of personal identity. The first question asked by Hand is whether resurrection is logically possible. This is obviously not the same as asking whether it is physically possible, since plenty of things do not contravene logic while still being impossible in our particular physical universe. Asking about the logic of a concept is, in part, to ask whether the concept is coherent. Prima facie, resurrection faces two possible logical objections, according to Hand: one is related to personality changes after resurrection (or, in the Doctor’s case, regeneration); the other to the physical constitution of the resurrected body. According to Christian lore, for instance, when the good guys are going to be resurrected at the end time they will get to live in a paradise where nobody does nasty things to anyone else and all is bliss. Setting aside the sheer boredom of such a place (just compare Dante’s Paradiso with his much more captivating Inferno to appreciate my point), this presents a problem. As Hand points out, the resuscitated people will have to have undergone a significant change in personality to make eternal bliss work, because it is simply not human nature to get along perfectly with everyone else, for eternity. But if, say, our editor Phil makes it to paradise (he won’t, he’s an atheist, even though he is a nice guy), and has to undergo a significant personality change in order to get there, then in what sense will it still be the Phil I know? For instance, if certain versions of the Christian “eternal bliss” are correct, there won’t be martinis to be found anywhere in the joint, and I simply can’t imagine Phil-now being able to stand such place, much less to agree that it is a “paradise” in any meaningful sense of the word. The second problem Hand identifies is rooted in the Christian idea that the resurrection will involve a reconstitution of one’s physical body (just like the Doctor’s regeneration). The problem is: where will all the necessary atoms come from? You see, the way the biosphere works, most of the atoms in our bodies are recycled, having been through countless other bodies before (mostly not of fellow humans, but possibly some did come from other members of Homo sapiens). When God will reassemble everyone, what happens to all those people (presumably a large number) who were made of partly overlapping sets of atoms? Well, you may say, but God isn’t bound to use the exact same atoms, he could build replicas of the bodies using spare atoms taken from somewhere else. Indeed, but then we wouldn’t have the same bodies, and there seems to be a strong sense in which we are who we are in part because of our particular physicality. What gives? In thinking along these lines, we have just touched on two of a number of ideas about what constitutes personal identity: continuity of personality and bodily continuity. But Hand points out that neither of these are knock down arguments against the logical possibility of resurrection (or, more importantly, the logical consistency of Doctor Who episodes!). Fans of the show seem to have no trouble “recognizing” the Doctor from one incarnation to the other, regardless of the fact that his personality is measurably different, and also that his body is clearly not the same. These judgments are shared by most people in real life: we know of plenty of instances in which an accident, or a disease, dramatically alters someone’s personality, and yet we say that he is “not the same” only in a metaphorical and somewhat poetic sense. Moreover, our bodies are certainly not made of the same atoms as the bodies we had when we were younger (and we surely don’t look the same either, if enough time has passed! ), and yet — again — we don’t say that we and our younger selves are different persons. A third major concept of personal identity (other than character and physicality) is based on memory: we are a given person because we have certain memories. Here, however, Hand confronts us with an episode of Doctor Who (Journey’s End, part of the 2008 season, with David Tennant playing the leading role) whereby an accident gives us a replica of the Doctor. The replica is, obviously, made of different atoms, and displays a slightly different personality from the original. But his memories (and accompanying emotions) are exactly the same as those of the “real” Doctor. Indeed, one of the Doctor’s companions, Rose Tyler, objects that the replica is not, in an important sense, the Doctor. Most people would, I think, agree that Rose is right, which throws a huge monkey wrench into the whole singularitarian idea of “uploading” one’s mind into a computer — a process that could potentially be repeated ad infinitum while the “originals” could be kept alive: clearly, we don’t end up with immortality of an individual, but with a mental cloning process. (One of my favorite objections to singularitarians is to ask them whether they would agree to be killed once their minds were uploaded: if they truly believed that “they” would survive the uploading process, they should readily agree to the “termination” of the original. Somehow, I doubt any of them actually would.) Of course one doesn’t need to unsettle singularitarians in order to make the point: we think of people who have lost large chunks of their memories because of accident or disease as the same “person” as before, at least to a large extent. But I must say: The Doctor seems to retain more than just memory from one generation to the next. He also seems to retain certain characteristic psychological traits, such as an uncanny ability to creatively solve virtually any problem (no matter how menacing) without bloodying his hands, plus his wittiness, eccentricity, and strong moral instincts. Oh, and, of course, he also seems to retain the quality of being a white, Anglo-Saxon-like male (despite being an alien!). But so it often goes with sci-fi. I do not follow Dr Who though I enjoy time travel as well. Now, regarding the questions about resurrection and the continuity of the self, it is in fact not necessary to call in such miraculous events. In our own terrestrial life we replace most of the atoms in our body on a continuing basis, we can lose our memories and even suffer acute changes in our character or temperament (in the classical sense of these words), via spontaneous change or induced by some neurological accident or suchlike. How do we tell that Jimmy after the brain surgery is the same Jimmy existing before? And what about the new heart transplanted into Jimmy's chest, or the fact that Jimmy develops Alzheimer and cannot tell his wife from a hat, let alone remember who he is (or was) in the first place. Or Jimmy develops a schizophrenia at the age of 25, hears voices and changes his personality beyond recognition. Is he still Jimmy? What is the meaning of this question? At first glance, these issues are similar to the case of a resurrected Savior or a regenerated Doctor Who, minus the miraculous or SciFi bits. yes, I touched on those very same examples in my post. The point of bringing in scifi is that it captivates people's imagination more easily than some real life cases. As long as the parallels are close enough, one can use scifi (or, more generally, literature) to get people to think about these and other issues. Kudos for another interesting read. My mother tells me I've been a Doctor Who fan since the age of 2, when the fourth Doctor was current. I've been watching, reading, and otherwise delighting in being a Whovian since. You may enjoy "Doctor Who: The Unfolding Text" by John Tulloch and Manuel Alvarado. It's long out of print but occasionally copies appear on ebay (I'm not surrendering mine). The authors are not philosophers but do discuss the Doctor in terms of labor politics, gender and environmental politics, and the Bohemian lifestyle (see the 4th Doctor). It's an interesting read, if dated and somewhat undeservedly pedantic. No matter how much loss and damage your brain and the body that it services (and/or vice versa) may suffer, the skin filled body and its brain remain yours simply because they can never, while your system and its remaining strategies live, be someone else's. I hate the new change to your blogspot account. Your banner masks roughly 30% of the screen. Given the size of the pictures in the post, this means I get about a paragraph of text at a time, with a large chunk of wasted space at the time. This makes attempting to read this post frustrating to the point that I haven't read it, and probably won't. The interface should facilitate the reading. If it's interfering, it's being done wrong. Love the new theme. What are you using? Fwiw, I'll voice my agreement with Brian Lynchehaun. For me it's not so bad I didn't read the post, but now it feels less welcoming since it "hides" (most of) the content from me when I first open the page. Also, I think if I click on the box by the article that says how many comments there are (that little dialogue-looking box at the top right), it should take me to the comments rather than bringing me to the main text where I have to click again. Guess I'd better keep quiet about having followed the very first episodes, or it'll get about about that I've been travelling through time quite a while now. On the off topic of the new design (which speaks directly to my profession, btw), I like it overall - especially the layout (i.e. more recent stuff at the top and larger, but none so large as to require a lot of scrolling, which was the case in the old design). That said, more direct (one-click) access to the comments section from the main page (or from its initial state) would be nice. My only negative criticism is: You went too far in changing your brand. I recommend that you that you give the blog back its "skin" (e.g. by reintroducing the previous logotype/masthead and the background color of the shell), if possible. Displaying blog posts in a modal window just doesn't seem right to me. Asking which Doctor is the 'real' one is equivalent to asking which frame, or which several frames of a film are the 'real' ones. It is senseless. We are not human 'beings' frozen in time. We are each a human process. In our case the the process is that of turning a fertilized egg into a corpse with a bit of environmental interaction in the meantime. Given that time is quantized and the shortest unit of time (Plank Time) is 10^-43 seconds, if you live for an average human lifetime of 70 years the movie of your life would have approximately 2 x 10^52 frames. How can you pull any of those frames out of that movie and say that these few frames are the 'real' you? This is just incidentally another one of the reasons that the concept of the afterlife is silly. Which of those frames get to go to heaven? Is it you as a blastocyst? You as a newborn? You as a toddler? Since God is reputed to not like sin I am thinking only those up to the age of puberty will be there. In the case of the fictional Doctor obviously the 'process' is different, but it is still a process. Re: What constitutes personal identity. I am inclined to say- pace Peter Unger in 'I do not Exist'- that, insofar as persons are composite physical objects, persons do not exist in a fundamental sense. Rather, like all composite physical objects, we are, at any one moment in time, a particular ensemble of particles arranged in a certain configuration. Certainly we cannot say that anything like a strong identity relationship exists between Me-now and Me-two years ago, (or, for that matter, Me-two minutes ago) because everything that can be asserted truly about Me-now cannot be asserted truly about Me-two years ago, and vice versa. For more macroscopic purposes such as forensic concerns, I would have to say I subscribe to a biological view of personal identity: Persons are animal organisms (we needn't limit personhood to humans alone: cetaceans, higher primates, etc., may be considered persons to a large extent, too). I want to express my agreement with those who disagree with the new look of this blog. Honestly tried to like it, to get accustomed to it, but miserably failed. Hate is too much of a word for this, but in a colloquial sense I actually hate it. There. Said. Spiffy format for the page! Not sure what I think of it yet. Also, cool article! I'm a fan of Dr Who as well, though these days I'm more partial to "Game of Thrones" - just reading the books now. "When God will reassemble everyone, what happens to all those people (presumably a large number) who were made of partly overlapping sets of atoms? Well, you may say, but God isn’t bound to use the exact same atoms, he could build replicas of the bodies using spare atoms taken from somewhere else. Indeed, but then we wouldn’t have the same bodies, and there seems to be a strong sense in which we are who we are in part because of our particular physicality. What gives?" Without wishing to recapitulate our twenty arguments about personal identity, Massimo, there ARE good reasons to think that the concept "different atoms" is flat-out meaningless. Two atoms of the same type with all the same properties are not just type-identical, they are in a sense token-identical (see "Identical Particles" on wikipedia.) Or at least, interpreting things in any other way would involve some really superhuman conceptual gymnastics. To talk of personal identity dying because one is not made of the same atoms appears to be as incoherent as saying that 2+2 might not equal 4 if you "replace" one of the 2's with a different 2. Note that other objections like lack of spatiotemporal continuity might hold more water. Also see SEP entry on this topic. It is not given that time is quantized. Such a hypothesis is a consequence of loop quantum gravity theories, which, to date, make no predictions not also predicted by the Standard Model and GTR, and thus is devoid of any empirical confirmation. This may change in the future, of course, but it is not given. Funny that the new format generated almost as heated a debate as our discussions on libertarianism. I like it, for now, we'll see. while I too don't think that the "it's not the same atoms" objection is weak (and indeed, the author of that chapter eventually dismisses it), I'm not sure I buy that atoms are examples of token identity. In fact, I'm sure: I don't buy it. I think you may be missing the point here. Human persons are much more complex objects than just biological organisms (although they are that too, of course), so the problem remains. And I find the (true) statement that "we are, at any one moment in time, a particular ensemble of particles arranged in a certain configuration" utterly uninformative and irrelevant to the issue at hand, like much quantum physics. Well Eamon you can slice time coarser or finer if you wish it does not change the basic thrust of my argument that the process of our lives should be taken as a whole and taking parts out and saying those are the 'real' ones is meaningless. So Massimo if you don't like Eamon's view of what we are there (and I mostly agree with it although it is incomplete in regards to relevant constraints) then how far back do we need to pull the camera to find that infomativeness and relevance? Is it at the cellular level? The organ level? The personal level? The group interaction level? The cultural level? The species level? The biosphere level? There is a danger of pulling the camera too far out of course. At the galactic supercluster level I don't think even the most important person enjoys a great deal of relevance. For the record I don't really care about the format as long as it functions, although I find change just for the sake of change rather irritating (and I don't like young whippersnappers on my lawn either) so I'll just assume there was a pressing reason to do it and move on. I fail to see in what sense humans are anything more than animals of a certain species. Perhaps one could say personhood requires more than an animal body, that it requires certain cognitive abilities to be present (though I would disagree). Nevertheless, we are only animals. Consider how absurd it would be for one to go to hospital to see one's relative, who recently has fell into a persistent vegetative state, and be told 'Oh, well, your relative is not here; all we have is this complex biological organism in room 44' after inquiring into the whereabouts of your relative. Think of similar responses to inquiries from nurses regarding the whereabouts of friends who have recently undergone severe personality changes- equally absurd. The mereological argument purports to show that there are no persons and thus no problem of personal identity- at metaphysical level-, which would rule out anything like resurrections, eternal rewards and punishments, and other such fancies. I agree, though, that for forensic purposes we require some description of personhood (which the biological view provides). Indeed, my point was that the quantum level, or even simply the "organism only" level is insufficient (well, the quantum one is completely uninformative, just like the galactic one would be). This is an old principle in philosophy of science: explanations are best sought at the most informative level(s) of analysis. Then you've never met a human. Wouldn't that be what *you* would say, since humans are nothing more than animals? The concept of personhood is more complex and interesting than just talk about animals, even though of course we are animals. But animals of a particular kind, with certain characteristics, many of which are shaped by our social environment and by our ability to reflect and interact with others. No, if asked, I would have said, 'Your relative is in room 44' because the referent of the term 'my relative' is the human animal in room 44. I like the new page format better. Thank you! The Doctor: "Nice to meet you Rose. Run for your life!" Favorite Doctor: the fourth and the tenth (and I do appreciate the ninth too). Glad to hear that you're a fellow Whovian. Though your choice of favourite Doctor leaves much to be desired. 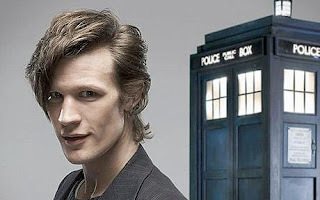 When I first saw Matt Smith I thought, "Oh, look it's another of those specials where they let a kid play at being the Doctor. When is the real episode on?" but he has grown on me greatly and I now consider him to be the best of the new crop. I also liked Eccleston and thought he could have been great if he'd stayed for longer. Tennant, however, I just think was a bit of a wet blanket. It is worth mentioning that the show itself does seem to have weighed in on this issue from time to time - and not in the way one might expect. It seems that, to a large degree, the Doctor himself considers regeneration death. Without that continuity of personality, the being who starts the regeneration process dies, and is replaced by a new entity who happens to remember the life of the old one. "Even if I change, it feels like dying. Everything I am dies. Some new man goes sauntering away. And I'm dead." Each incarnation thinks of the appearance of the next as a death, but looking back they seem to see a continuity. The Eleventh has the First Doctor's face on his library card, the Tenth says to the Fifth, "when I was you". It's analogous to thinking about you in the future - what would the teenage you think, being confronted with becoming a worker and a parent? The teenage you might feel "that's not me", but looking back there's a continuity there. If time is like the surface of a planet, the Doctor can leave the surface and jet from one part to another, while we trudge along on the slow path. I'm glad Cathyby made that point about 'spatiotemporal continuity' because time travel doen't (in Doctor Who) disrupt the personal continuity of the traveller. Indeed, the first episode of the current season makes a point of two characters who have an temporally asynchronous relationship comparing notes so they each know what they can talk about with the other. Just thinking about it some more, the show has also further muddied the waters of whether continuity of identity is really meaningful. On several occasions, they seem to have put forward the idea that memory is what determines identity - even in the case of duplicates! After all, Rose initially thinks the Doctor clone isn't the Doctor... but she certainly gets over that pretty fast when it becomes clear that because he's half human, this Doctor is willing to actually act on his feelings for her. More interestingly, there was the story this season where the Doctor was cloned, and the clone had the exact same memories and personality. The Doctor argues quite vigorously that the clone is every bit as much the Doctor as he is, with co-equal claim to the identity, and goes to quite great lengths to prove to his companion that her objections that the clone isn't "real" are completely unfounded. And then, of course, there's River Song. Who, as we've already seen, will have a copy of her mind recorded and uploaded into a computerized afterlife upon her death. Technically speaking, as the post above discusses, this is a singularity-style copy of her brain, but everyone (including her) seems quite content to accept that she is still River Song. But the point is whether the (sometimes contradictory) solutions to the problem of identity presented by the show stand up to philosophical scrutiny. I too prefer the spatiotemporal continuity theory, but I do think it gets into trouble when it comes to time travel. Who knows, maybe time travel is logically impossible, or perhaps our concept of personal identity simply doesn't apply to Time Lords. Or both. I think where I'm driving with it is that the contradictory nature of identity on the show may actually be somewhat intentional. The issue has been raised enough to make me wonder whether the writers are muddying the waters on purpose. We're shown that the Doctor himself considers regeneration to be death of identity - but that a copy with the same memories has every bit as much claim to their mutual identity as he does. Or on the spatio-temporal identity point - how is this changed by the idea that time can be, and is, constantly rewritten? Not long ago we got an episode with two of the same person, who lived different versions of history, and essentially set each's right to exist against the other. What does it do to the nature of identity if at any moment, a time traveler can change something that happened to you 30 years ago, replacing you with a different version of yourself against your will? One of the reasons I like Doctor Who more than most American scifi is that for what is at least nominally a kids' show, the writers really seem to enjoy throwing very complicated ethical and philosophical questions out there, and not always with any particular answer or resolution to match. as sui generis, the question of coherence falls apart. potential instantiations of an identical concept, as the same. "we all are four dimensional “worms” extending in space-time, ... I am the same person I was as a child, even though all the atoms in my body are different, my personality has somewhat changed, and I don’t recall much of that time of my life." But Massimo what is it that is going through time? By many accounts esp. the psychological continuity accounts you aren’t a person until you have the sophisticated mental capabilities that give rise to personhood. I think we need clear that up first before and Dr Who thought experiments. good point about identity being *also* (not only) a question of social construction (there still is a metaphysical issue, however). But I disagree that coherence is on par with resurrection. Coherence is a pretty important concept in logic, resurrection is a made up supernatural or para-natural phenomenon. yes, spatiotemporal continuity is not sufficient, otherwise cockroaches would persons. However, the psychological continuity view in itself is also insufficient, for reasons explored in the essay I refer to in the post. Massimo, I know that all too well but the point I'm trying to make is that we have to be careful what terms we are using. Rather than saying we are the same person, we could instead use a neutral term, say the same entity and then proceed to work out the nature of this status. My own work sees us a type of complex system with chains of organisational continuity; but I've put that on the backburner as the story gets even more complex once you work that out. correction chains of material/organisational continuity. Insect metamorphosis provides a real-world biological model. Caterpillar and butterfly, same creature? One can read it as a question about the critter(s), or a question about sameness. Restoration of vandalized works of art provides another good model. Same work of art, or something similar but new? (of objects, events, concepts, etc.) Most equivalence relations have no utility. But to call an equivalence relation "incoherent" could only mean that it collapses - like distinguishing left-handed and right-handed figures on a Mobius strip. Certain attempts at equivalence relations turn out incomplete (dividing people into males and females, though coherent, fails on the intersexed). Certain attempts turn out fuzzy (categorizing days as either hot or cold, though coherent, turns out non-canonical, since people of good faith might differ concerning what counts as a cold day). If I still don't understand coherence, point me to a reference that will get me up to speed. And what makes an issue intrinsically metaphysical? Constructing equivalence relations seems a business that arises after settled metaphysics - after we've already agreed about the substratum of reality and now just want a copacetic framework for organizing our experience. So, no I don't think the mathematical notion of identity here is going to be particularly helpful. As for metaphysics, good question. But ontology (which is what we are talking about here, at least in part) is a classic branch of metaphysics, so it seems reasonable to say that identity is (again, at least in part) a metaphysical issue. Thank you Massimo, but having had a go at the reference you linked, it seems to me that coherentism speaks to (systems of) beliefs, and not to concepts. So on my reading of that context, "coherent concept" constitutes a category error. Now one could discuss the coherence (either internal, or together with other beliefs) of the proposition, say, that the 10th and 11th Doctor's constitute in fact one and the same person. But, even within the fiction, that doesn't seem to me a falsifiable hypothesis. People of good faith who agree about tangible facts, and agree about laws of logical deduction, these people might still disagree on account of subscribing to divergent definitions of "identity." They would not then truly hold divergent beliefs, rather they would merely not speak (exactly) the same language. If someone sued the 11th Doctor on the basis of a contract made with the 10th Doctor, I think the case would have to hinge on a legal definition of personal identity rather than a scientific or metaphysical one. A just law would look at the sameness and difference between the Doctors and decide whether to hold one responsible for the actions of the other. For such a purpose one would craft a definition of identity on ethical and/or utilitarian grounds, not metaphysical. Indeed, if one then had to decide whether the 11th Doctor stood to inherit property willed to the 10th, this question might require a different definition and determination of identity. I would not consider it incoherent to have concepts identity1 and identity2 where simple identity sufficed for humans. In fact it often happens in science that the discovery of new phenomena will induce new vocabulary to capture distinctions heretofore invisible. A priori, theories of human identity need neither to conform to nor capture the subtleties of the Time Lord life cycle. The word "identity" just turns out too flat for someone who regenerates. In the real-world, some people would argue the same in the case of MPDs, say. No, a coherent concept is simply a concept that does not involve a logical contradiction. I'm not sure what falsifiability has to do with it, first because we are not talking about science, second because even for science the concept of falsifiability does not actually hold very well. But any ethical system relies on (implicit or explicit) metaphysical assumptions. True, but let's not forget that Time Lords don't actually exist. The exercise is to use science fiction to explore our reasoning about identity, not to take Doctor Who's metaphysics too seriously (after all, the show has been written by several people over decades, most of them not exactly explicitly trained in philosophy). contradictions, but rather merely that our attempts to axiomatize the rules of the implied universe give rise to convoluted propositions that we reject as inelegant - consistent but laden with ad hoc exception clauses that disturb our suspension of disbelief. Let me offer an example that separates contradiction from incoherence. The concept "square root of a negative number" at first presents a contradiction. One starts to reason, "well, such a number must be positive, negative or zero..." and comes up with nothing. And for a time mathematicians rejected the concept (presumably as incoherent). But enlarging the concept of number undermined the contradiction and revealed the concept as coherent after all. This seems an example of "repairing the ship." But, in the final analysis, one accepts imaginary numbers on utilitarian grounds rather than metaphysical grounds: the enlargement of the number concept turned out useful. I prefer to leave incoherence to apply in the logical sense: a concept or proposition that includes a logical contradiction. Concepts arise in all sorts of ways, not just as abstractions of models. There is a huge philosophical literature on concepts. I still don't see how this is a category mistake.